Next month, I am looking forward to watching more TV shows! I spend less time watching TV and I thought it would be nice to get more or do more of what I am getting less in the previous months. It is exciting to tune in at the new FYI Channel - For Your...Inspiration, Innovation, Imagination. I talked about a bit about this new channel over here. This November, FYI has new exciting line up. Click Read More to see the FYI Channel November highlights! Unleash the creative potential of your home with a fiery new series. Red Hot Designs, hosted by fiery redhead Shasta Smith, the queen of up-scaling, an extremely talented artist and a celebrated interior designer, watch as Shasta and her team take on 2 awe-inspiring design projects each week. 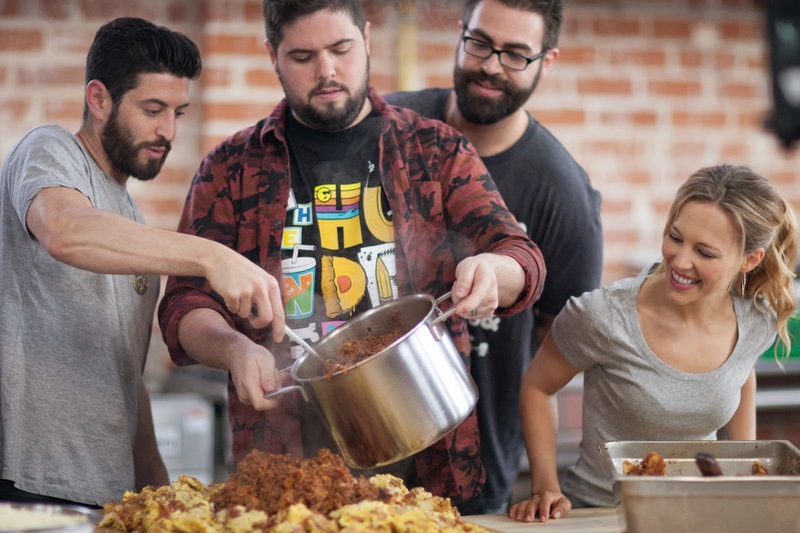 From whiskey-laced, burger-stuffed lasagnas to donut casseroles to Jack & Coke cupcakes, the Epic Meal Empire team delivers recipes that are visually mind-blowing spins on food preparation and presentation. This new FYI series will follow the ingenious group as they invent spectacular new dishes, on a whole new "epic" level. Waaah.. too many good shows, so little time! It is like, too many good blogs, so little time (and slow connection) to visit!